Watch the Dashcam footage which captured the sec. 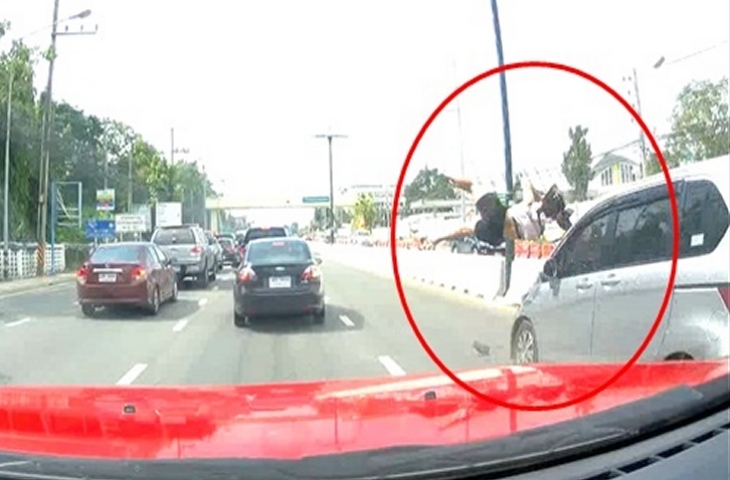 a women crossed a busy road in chonburi while she was talking on her phone. The 40 year old women died immediatly at the suffering of a factured skull. PLEASE, allways look twice before crossing a road in thailand, and especially hands away from the phone and eyes on the street.